Here are some interesting largest objects prepared by people and organisations with the passion to achieve excellence. On January 25, 2009, the Kraft Foods in Mexico made the largest cheesecake with a weight of 4,703 pounds, a diameter of 8 feet and 2 inches and a height of 1 foot and 10 inches. The ingredients used were yogurt, cream cheese, sugar, cookies, strawberries and butter. 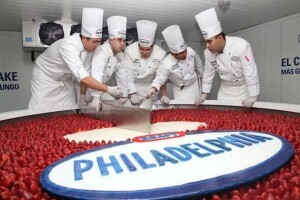 The cheesecake was prepared by Chef Miguel Angel Quezada with the help of other 55 chefs. Itt took them 60 hours to complete the cake. A total of 20,000 slices of cheesecake was shared to people in Mexico City. The largest ice cream cake was prepared by the Dairy Queen in Ontario,Canada. Recorded on May 10, 2011 in Guiness World Records, the cake weighed 22,333.6 pounds, 14 feet 7 inches long, 13 feet 3 inches wide and 3 feet 3 inches tall. The ice cream cake ingredients were vanilla ice cream, sponge cake, buttercream frosting and Oreo cookie for toppings. 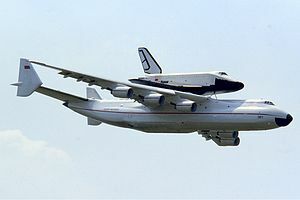 The largest plane is the Antonov An-225 Mriya built in 1988 by the Soviet Union’s Antonov Design Bureau. With a gross weight of 640 tonnes, the aircraft was used by Russia in their space program to airlift rockets and space shuttle. The plane’s role is a strategic airlifter and is still in service. The largest building is the Burj Dubai also known as Dubai Tower in United Arab Emirates. It is also considered as the biggest man-made structure in the world with a towering height of 2,722 feet tall. It has been recorded as the tallest building in the world on January 4, 2010. The tallest building is now a destination for many tourists. Around this icon are prestigious hotels and restaurants. 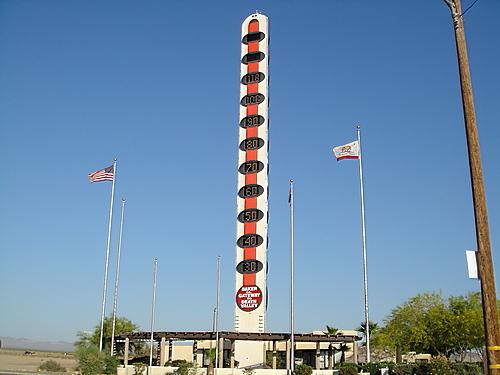 The largest and also the tallest thermometer is found in Baker, California. Built in 1991, the thermometer is 134 feet tall and first owned by a local businessman named Willis Herron. The towering instrument has been damaged and rebuilt several times. It was also sold to several business owners who have used it to attract customers. In 2012, the thermometer has to be turned off due to the energy crisis and economic situation considering that its electric consumption has reached $8,000 USD per month. 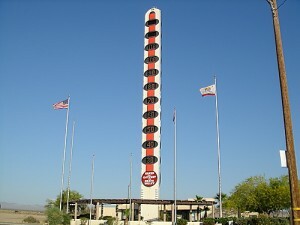 Until today, the thermometer still stands as a landmark in Baker, California is now listed for sale. The Churaumi Aquarium in Okinawa, Japan measures 35 meters wide, 10 meters deep and 27 meters long. It contains 7,500 tonnes of water. The size of this aquarium is compared to the size of three Olympic swimming pools. The largest swimming pool is found in San Alfonso del Mar Resort in Chile. It was built in December 2006 with an area of 8 hectares. The deepest part of the pool is 115 feet. The treated water in this pool is pumped from the Pacific Ocean.